Lift Lumière Firming and Smoothing Makeup provides a medium to full, buildable coverage. The luxurious formula also includes hyaluronic acid and Camellia oil to protect skin against dryness while providing a plush sense of comfort. I’ve been using Lift Lumière Fluide Makeup and love it. It feels and looks fabulous on the skin. 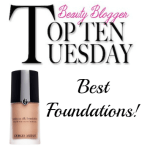 This is an excellent foundation especially for mature skins and those with normal, normal/dry skins. I immediately noticed the luminous finish that the LIFTOPTIC complex provides. I’ve applied Lift Lumière Fluide Makeup using a foundation brush, my MAC 187 brush, a BeautyBlender and my fingers and no matter the application tool, the finish is consistently incredible. 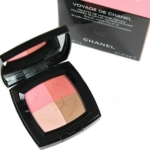 Chanel Lift Lumière Firming and Smoothing Fluid Makeup SPF 15 ($67) is available in four shades. 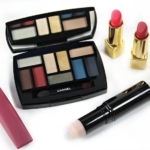 You can find it in department stores including Nordstrom, specialty stores and at CHANEL.com. Chanel Lift Lumière Concealer Smoothing and Rejuvenating Eye Contour Concealer is the sister product to Lift Lumiere Fluide Makeup. 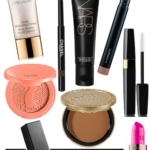 I tend to get pretty excited about a good concealer, because I am challenged with stubborn dark undereye circles. I have to be honest; I love Lift Lumière Concealer. 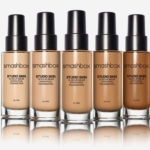 Not only does it provide excellent coverage, but it glides on smoothly and the light-diffusing pigments immediately brighten the eye area. 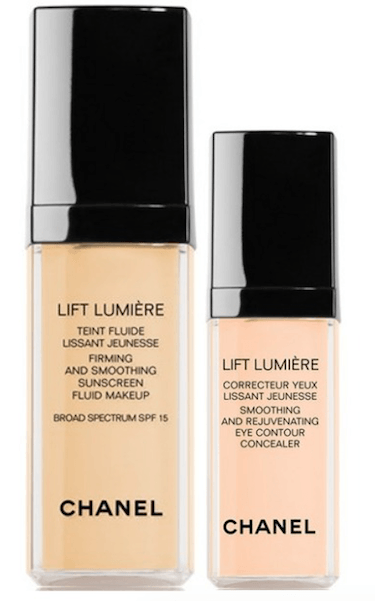 I had no issues with Lift Lumière Concealer looking dry or cakey; instead my eyes look well-hydrated and rested. Lift Lumière Concealer targets the fluid that builds up under eyes to help measurably reduce the appearance of puffiness. For application, I find that using my ring finger to dab on works fine. 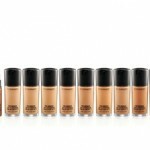 Chanel Lift Lumière Concealer Smoothing and Rejuvenating Eye Contour Concealer comes in three shades and retails at $46. Available at Nordstrom, specialty stores and CHANEL.com. Both the Lift Lumière Fluide Makeup (foundation) and Lift Lumière Concealer may tend to get overlooked in the sea of choices of available, and shade choices are limited, but these are both excellent products, highly recommended.